How are you today? I'm still having some busy weeks ahead of me, so I try to enjoy every free minute I have. But for know I wanna talk to you about the Kimono. You probably know the Kimono, originally from the Japanese culture. But it's making his entrance into the fashion world really quickly. Festival season has begun and I spotted different fashion-bloggers with this piece of clothing hanging around their shoulders. It's such an easy item to wear, you can wear it with ripped short, cool boots and a fringe bag to make it a little more edgy but you can also wear it with a beautiful jeans, a lovely top and a classy clutch to make it more chic. I'm such a fun of this item. To inspire you I collected my favorite kimono-outfits so you can see different ways to wear it. I personally love the last one the most, because it's a comfy-rocky-chic look if you know what I mean. 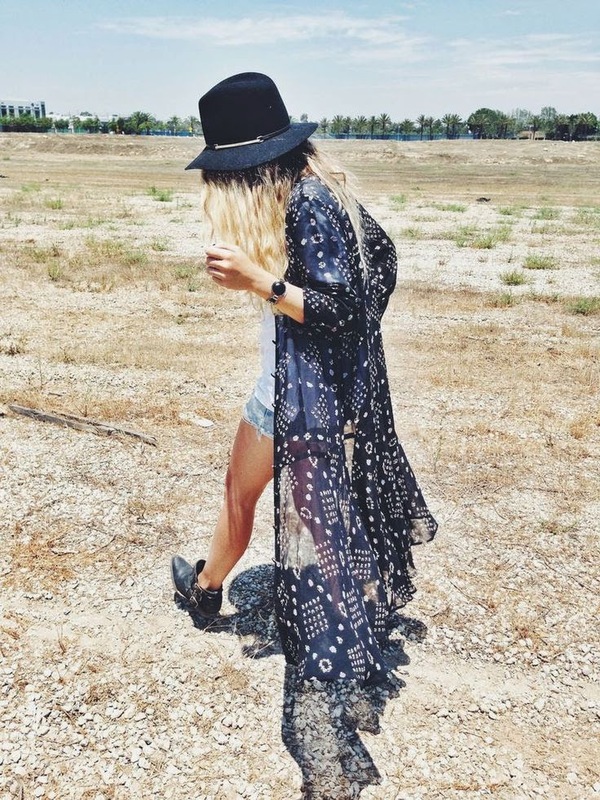 Do you already have a nice Kimono hanging in your closet? Great ideas!! I love kimono!!! Thank you for stopping by! Love this post; I would like to buy a kimono now as well. I agree with you! Love this trend, it's so easy to combined. I need one too! But I didn't found the perfect one yet.. 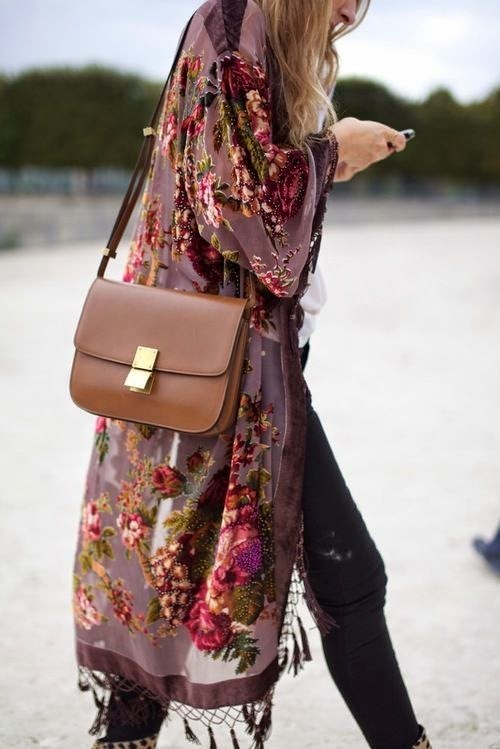 I do love the kimono trend that I've been seeing the last few months! I just need to find the perfect one for me. I really love the first and fifth one! The colors of the first and fifth one are amazing, aren't they?! Perfect for summer..
Love the pictures you posted, especially the first one! The colors are great!! The first one is amazing, if i only know were it is from! Just amazing inspiration on how to wear a kimono! I love them all as they are all so different and unique! I don't have one yet but I really should add one to my closet!